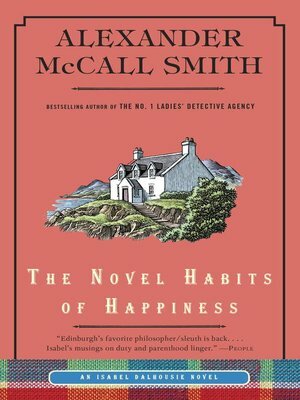 The insatiably curious Edinburgh philosopher and amateur sleuth Isabel Dalhousie returns, taking on a case unlike any she's had before--this one with paranormal implications--in the eagerly anticipated new installment of Alexander McCall Smith's beloved and best-selling series. Through a mutual acquaintance, Isabel is introduced to a six-year-old boy who has been experiencing vivid recollections of a past life, which include a perfect description of an island off the coast of Scotland and a house on the island where he claims to have lived. When the boy's mother asks Isabel to investigate, Isabel naturally feels inclined to help, and so she, her husband, Jamie, and their son, Charlie, set off for the island. To their great surprise, they actually locate the house that the boy described, which leads to more complicated questions, as Isabel's desire to find rational explanations comes up against the uncanny mystery unfolding before her. It's an extraordinarily delicate situation that will require all of her skills, as both sleuth and philosopher, to solve. Back home, as she begins to prepare the next issue of the Review of Applied Ethics, Isabel confronts a threat to her professional well-being in the form of two visiting academics--Lettuce and Dove--who she fears will be a destabilizing influence on her cozy perch in enlightened Edinburgh. But no matter the trials she faces, Isabel is blissfully content in her personal life, which is centered on her young son and devoted husband. Readers will be filled with happiness as they once again spend time with their beloved heroine and the people she holds dear.